The beginning of 2009 was a very miserable time for me and hundreds of thousands of flight sim fans all over the world. The last few years haven’t seen a lot of action on the flight sim front with IL2 1946 and Microsoft’s Flight Simulator X both hitting shelves all the way back in 2006... 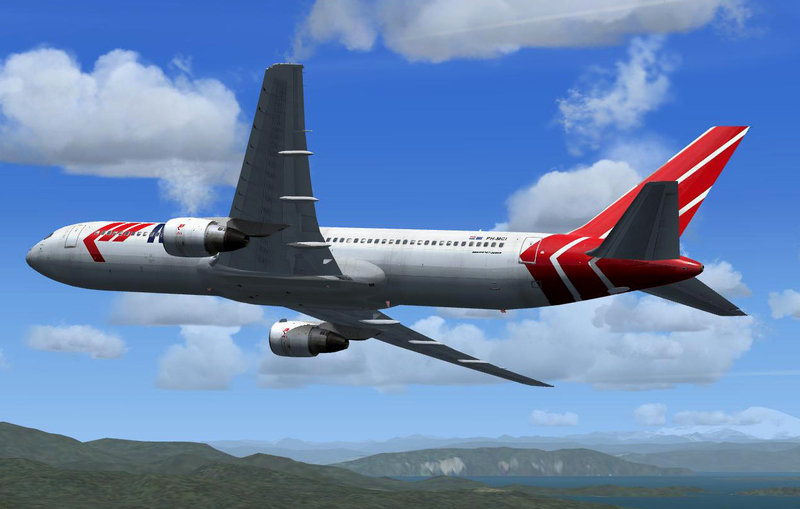 Considering the amount of great flight sims that were around just a few years earlier this was like a barren wasteland. Still, I continued with the odd flight here and there waiting for an announcement on either IL2’s replacement or the next version of Microsoft Flight Simulator. Then a massively disappointing announcement came at the end of January. In a series of cutbacks, Microsoft confirmed that it had axed the Aces Studio – the studio behind Microsoft Flight Simulator. This ignited a huge wave of complaints on numerous forums and blogs – and rightly so! Microsoft Flight Simulator was the longest running PC game series ever, stretching back all the way to late 1970s. Every version sold well and for its loyal fanbase, the games rarely disappointed. Every release was anticipated within the flight sim community and each one spawned a mass of add-ons and expansion packs, not to mention driving a large segment of the PC gaming peripherals industry. What made the Aces Studio closure all the more painful was that the latest game in the series, Flight Simulator X, was a far more enjoyable game than any previous instalments. There were no guns, bombs or missles, but landing on busses, completing aerobatic displays and winning gliding competition more than made up for it – and later enhancements pushed the graphics and realism higher too. The closure of Aces Studio was a massive blow to the flight sim industry and PC gaming in general. I’m still reeling from the shock of the death of what I thought was the one game that would keep on going even if PC gaming as whole came crashing down around it. This begs the question, why? Well sales for FSX would never be close to games like Halo 3 admittedly – and therein lays the problem. As awful, soulless and epically unreliable as the Xbox is, Microsoft continues to push it harder and harder, while ignoring the PC as a gaming system. I doubt the Flight Simulator series lost them as much money as the simply heroic failure rate of the Xbox 360. Indeed it’s probably the reason for other franchises, Flight Simulator included, getting the chop in the first place. Thankfully a handful of the original developers have teamed up and are planning to start again through the Cascade Game Foundry. The successor to IL2 Sturmovik is also apparently alive and well and due for release in 2010 – but none of that takes away the pain of Microsoft’s foolishness. Retailers: "PSPgo will fail miserably"
Independent retailers such as Chips have said that the PSPgo will fail miserably. Last year saw the launch of many highly hyped MMOs, all hoping they could replicate World of Warcraft's success. Sadly, their plan to gank WoW failed and few survived. We take a look at why so many MMO games fail so quickly and whether Word of Warcraft will ever be beaten. Is it a case? Is it a test bench? No, it's the Antec Skeleton! With a unique open air approach to keeping your hardware cool. We take a look to see if Antec's minimalist new chassis has what it takes to shake up the PC case market.